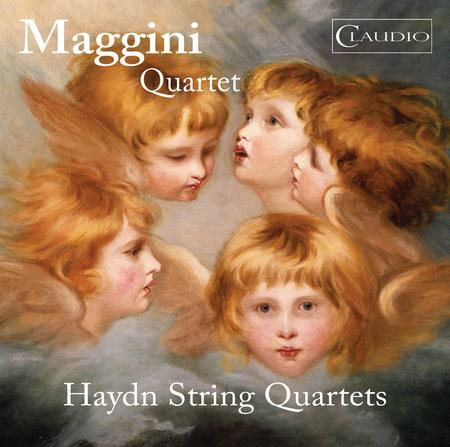 Formed in 1988, the Maggini Quartet is one of the finest British string quartets. Its acclaimed recordings have won international awards including Gramophone Chamber Music Award of the Year, Diapason d'Or of the Year and a Cannes Classical Award, and have twice been nominated for Grammy Awards. The Magginis are renowned for their authoritative interpretations of English chamber music. Their ongoing series of concerts and recordings for Naxos, the Glory of the English String Quartet, celebrates the rich and diverse English string quartet repertoire, much of which has sadly fallen into neglect over the last century. Using their unparalleled experience in this repertoire, the Maggini Quartet offer carefully devised all-English or mixed programmes of classical quartets alongside English works to suit every occasion and venue. The Quartet's name derives from the famous 16th century Brescian violin maker Giovanni Paulo Maggini, an example of whose work is played by David Angel, Martin Outram on an 18th century viola, maker unknown, and Michal Kaznowski on a cello by Jacobus Philippus Cordanus, made in Genoa in 1776.